Today the long-awaited NCAA sanctions on the Ole Miss football program came down, and things will be very bad in Oxford in the fall for some time. But perhaps not as bad, and not for as long, as a lot of people thought. 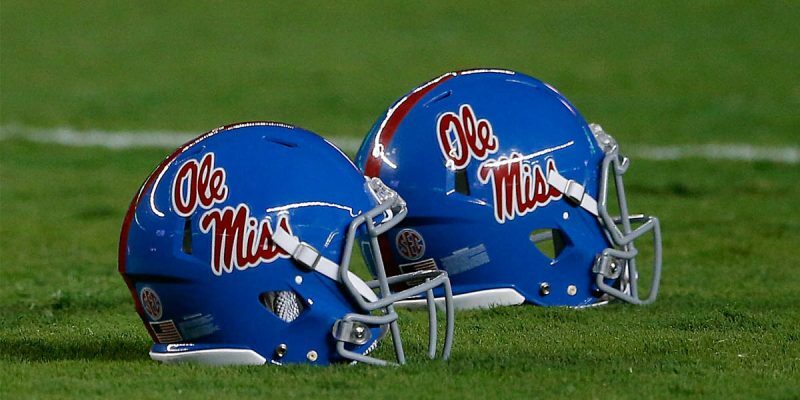 The seemingly never-ending investigation by the NCAA into Ole Miss athletics is finally over — and the football program took the brunt of the penalties. The NCAA will officially announce its sanctions later Friday, but reports from SBNation and ESPN note that the school will receive four years probation, a two-year total bowl ban (one additional year from what has already been self-imposed) and see a reduction of 13 additional scholarships over three years on top of the 11 over four years that Ole Miss self-imposed. The school will also be fined. Every coach mentioned in the Notice of Allegations received a show-cause penalty of some timeframe, including former head football coach Hugh Freeze (one year), former assistant athletic director for high school and junior college relations Barney Farrar and former assistant David Saunders, who worked for former coach Houston Nutt and was most recently at Louisiana-Lafayette (2011-14). A show-cause penalty means that any school hoping to hire any of those coaches prior to the order running out will have to present a case to the infractions committee. So 24 scholarships over three years means that Ole Miss will be restricted to signing only 17 players, rather than 25, per year over the next three years. That has a really deleterious effect on the competitiveness of a program – you lose your usual complement of seniors every year, and then you have the usual attrition from kids getting injured, academics, discipline or other reasons people quit or transfer, and it always amounts to a lot more than 17 spaces for new players every year. When all you can sign is 17, you find very shortly that your roster gets dangerously small. When LSU was hit with draconian NCAA sanctions in basketball some 20 years ago, the worst thing that was done to the program was an imposition of a penalty wherein the Tigers could only sign four players over two years. John Brady had just taken over the reins of LSU basketball, and he signed a monster nine-man recruiting class in his first full year. But four of those nine – guards Omar Seli-Mance and Darryl Cooper, forward Marqus Ledoux and center Brian Helquist – all transferred after their first years, and instead of being able to replace them Brady could only sign three players. His third LSU team, the one which rode Stromile Swift to an NCAA Sweet 16 appearance, only had nine scholarship players on it, and the next year after Swift had gone pro, Jabari Smith had graduated and Lamont Roland and Brian Bridgewater were lost for the year to injuries, plus signee JueMichael Young didn’t make his grades to be eligible, got all the way down to five scholarship players. Ole Miss’ program won’t be that unfortunate, but they’re going to look a lot like an FCS school for a while. Not to mention the Rebels had a terrible recruiting class this past year, which was ranked 12th in the SEC by 247 Sports, and the class they’re currently recruiting doesn’t look any better (247 ranks them 13th in the league with only 11 commitments); the talent base they’ll be working from while being hamstrung from adding to it won’t be competitive with the big guys. Ole Miss has 18 seniors on the 2017 roster. Not all of them are scholarship players, but most are. Consider that they’ve only got 17 scholarships to replace those guys, and then consider a player like defensive tackle Breeland Speaks who’s likely to turn pro after this year, plus whatever other attrition is coming, and the numbers will get pretty bleak pretty quickly. Here’s what’s worse – with the additional year of a bowl ban, at least the way CBS Sports’ Barrett Sallee reads it, everybody on Ole Miss’ roster who’s a junior or above this fall can transfer to another school without sitting out. The additional bowl ban means that players currently with the program have the ability to transfer to other FBS institutions without sitting out a year as generally mandated by the NCAA. So stars like rising junior quarterback Shea Patterson and wide receiver A.J. Brown suddenly have big decisions to make: stay or go. We’ve seen some different interpretations of that, though – elsewhere it’s been said that only players who would be seniors this fall would be eligible for an immediate transfer. That’s a considerable difference, because the Rebels’ sophomore class has some pretty good players in it – Patterson, Brown, offensive tackle Greg Little, former 5-star recruit safety Deontay Anderson, wide receiver Van Jefferson, defensive tackle Benito Jones and tight end Dawson Knox among them – and if those guys are all able to leave without sitting out a year then Ole Miss’ roster might be completely picked clean of SEC-level talent. The sanctions could have been worse. Ole Miss just named long-time assistant and interim head coach Matt Luke as the permanent man atop the program, and Luke avoided a show-cause ruling from the NCAA as did fellow assistants Derrick Nix and Maurice Harris. That means the Rebels don’t have to replace any assistant coaches, and therefore they’ll avoid any more turmoil. Further, the school was only hit with $180,000 in fines, a number which might well have been worse. What we’re not sure about is the financial damage from the extra year of the bowl ban; obviously if that triggers the loss of an additional year of the school’s share of SEC bowl revenue that’s another $8 million in losses. If they’ve avoided that result it’s likely a huge help. So while it’s going to take a little while to sort through the implications of what the NCAA has done to Ole Miss, it looks like they’ll manage to field something of a program for the next few years – but only just something. Today’s result is a pretty devastating blow that will make for a long road back to competitiveness for the Rebels.